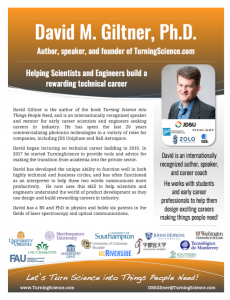 David Giltner is the author of the book Turning Science into Things People Need, and is an internationally recognized speaker and mentor for early career scientists and engineers seeking careers in industry. 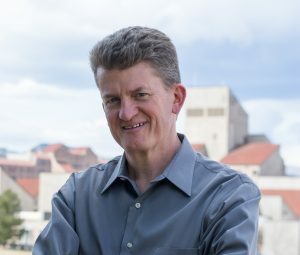 He has spent the last 20 years commercializing photonics technologies in a variety of roles for companies, including JDS Uniphase and Ball Aerospace. 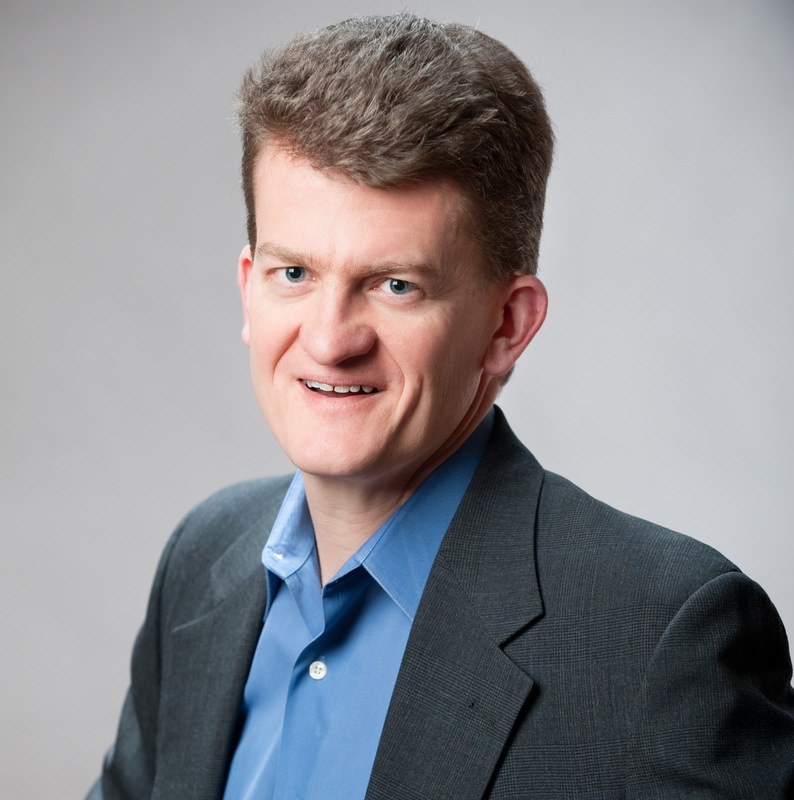 David has a BS and PhD in physics and holds six patents in the fields of laser spectroscopy and optical communications. 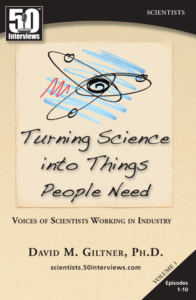 David Giltner is the author of the book Turning Science into Things People Need, and is an internationally recognized speaker and mentor for early career scientists and engineers seeking careers in industry. 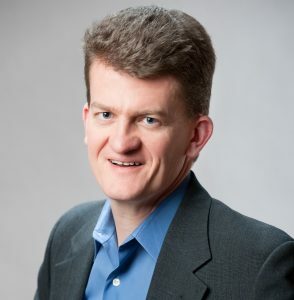 He has spent the last 20 years commercializing photonics technologies in a variety of roles for companies, including JDS Uniphase and Ball Aerospace. David began lecturing on technical career building in 2010. In 2017 he started TurningScience to provide tools and advice for making the transition from academia into the private sector. 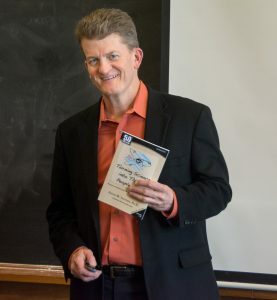 David has developed the unique ability to function well in both highly technical and business circles, and has often functioned as an interpreter to help these two words communicate more productively. 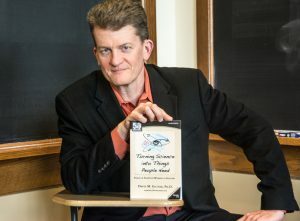 He now uses this skill to help scientists and engineers understand the world of product development so they can design and build rewarding careers in industry. 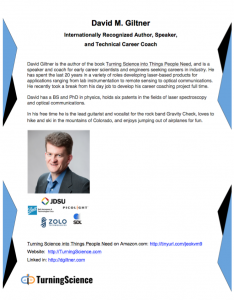 David has a BS and PhD in physics and holds six patents in the fields of laser spectroscopy and optical communications.